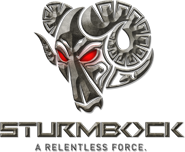 Sturmbock (= German for Battering Ram) is an automotive performance and enhancement parts specialist. The company's focus is on production and world-wide distribution of highest quality tuning parts for European cars, luxury sedans, sporty SUV's and exotics. With production sites across the globe, Sturmbock is one of the leading companies for high-end automotive tuning parts. Our objective is to transform European & Prestige Cars into personal objects of desire and distinction. Our product portfolio and service extends beyond superb individual modifications, special customisation and performance and aesthetic vehicle enhancements. With his fascination for all mechanical things, Sir Henry Royce became interested in motor cars and bought his first De Dion-Bouton automobile in 1902. This car did not meet his high standards and so he first improved it and then decided to manufacture a car of his own which he did in a corner of his workshop in 1904. Today, more than 100 years later, automobile owners share the same passion for enhancing and individualising their vehicles. Automobile fascination starts, where mass production ends. Sturm Bock is in the business of taking excellent cars and making them perfect. We are YOUR premier destination for automotive enhancement and performance products. Opting for Sturmbock means you settle for nothing less than the best. Our dedicated team shares, like all of you, same high-octane gasoline in their blood and bring with them a multitude of talents to give you an absolutely one-of-a-kind driving experience. We are looking forward to be of service to you.